If you have been following my blog for a while, then you know that I am in a predicament, a Food predicament~ A Potato Predicament!! If this is the first time you are visiting my blog, then welcome to the wacky world of the Moore’s!! Hubs loves buying everything in bulk quantity…Is it an Irish thing?? In this case, yes it is. He purchased Fifty pounds of potatoes, much to my shagrin. But never the less, we are eating a lot of potato pancakes, stews, and my newest Creamy Ham and Potato Soup. You will love this soup because it is easy and so delicious. It is on the top ten of our favorite soups now. I have some leftover ham in the freezer. I think I’ll be adding this to our meal plan this week. Thanks for sharing Nettie! Hope you can come link up to Simple Supper Tuesday! 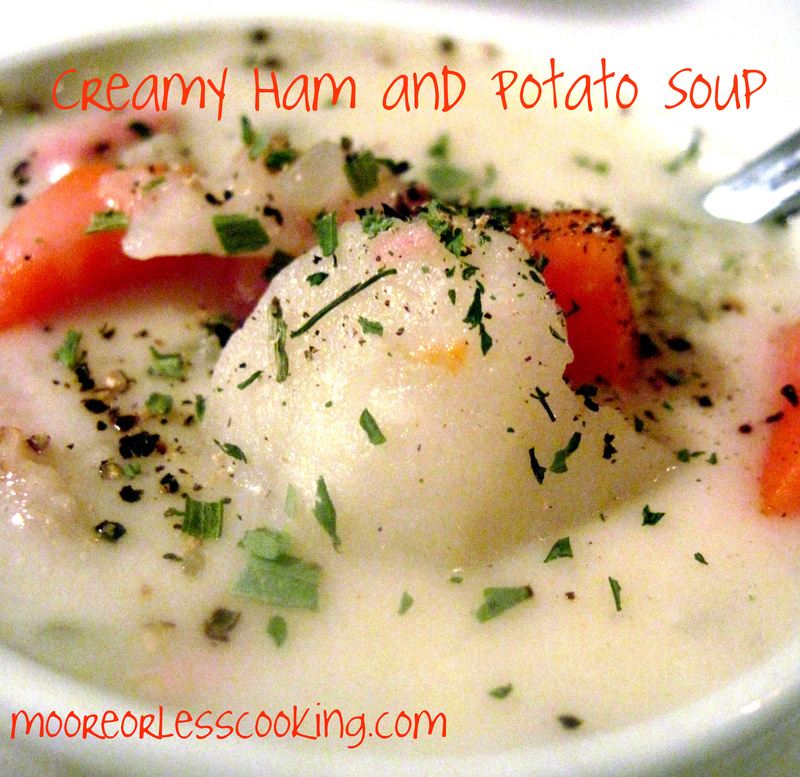 This soup looks so thick and creamy!